Mama Kat's Prompt: What's your stance on 'labeling'? Were you labeled as a child? Have you labeled your own children? How do you feel about this? My child has several labels, one of which is "Preemie". "Preemie" is a label that tells a teacher and other professions that there might be some hiccups in a child's development. When I read that a child was born prematurely in a referral to special education, I pay close attention. However, Zane is an extremely healthy child who seems to have escaped the health and cognitive issues that many premature babies seem to have. In fact, he is bigger than his friend who was full-term. The label no longer really applies, as far as I'm concerned. Yet he was born prematurely, so the label stays. Labels are an important part of what I do. I work with students who have been referred for special education services, to see if one of the disabilities we serve, Autism, Specific Learning Disabilities, Other Health Impaired, etc., applies to that student. A label is a descriptor of ONE aspect of a child, as it pertains to education. If a teacher hears that a child is intellectually disabled, for example, she will have an expectation of what a child might be able to do the first time she see him/her. In this instance, labels are a starting point, a baseline. This is where we are, the initial label says. The label gets you on the bus, but it doesn't tell you where to go. (That is what the IEP does--it maps out the steps for the child to get where they need to be, or at least heading in that direction.) This is where most people become confused; they see the label as the end point, not the beginning. Once they hear the words 'intellectually disabled', they think that they know all there is to know about the person. They couldn't be more wrong. 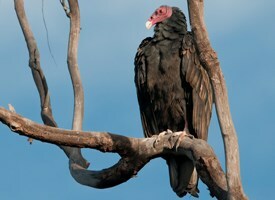 The turkey vultures carry a multitude of labels, in addition to being ugly and creepy. Most of those labels are very negative. Ungainly, carrion-eaters, stinky...I could go on. All of those labels are true and factual. Yet when those very well labeled birds take to the sky, other labels suddenly apply: graceful, majestic. Wings stretched out as far as possible, soaring gracefully in slow circles. effortlessly flying through the sky, the very ugly bird becomes something else, and that is beautiful. No one is ever the sum of one label. "No one is ever the sum of one label." Great post. I agree 100% with the last line that we are never the sum of one label! Stopping by from Mama Kat's. I have three kids with IEPs and a fourth that's about to start testing this year. So I am all to familiar with how the schools use labels to help kids. And I think they can help or hurt depending on the attitudes others have toward them. Once they hear the words 'intellectually disabled', they think that they know all there is to know about the person. Unfortunately that is very true. Often a lot of mommy's precious strength is wasted on trying to convince people otherwise. That's great about Zane is so big, strong and healthy! I love it when kids beat their prognosis. I wrote about labels too. Love your post, especially that last line. I'm giggling because we have turkey vultures in DC as well (in the city, yes!). They stay primarily in the woods but our first encounter was not a good one. Dang bird hopped out of the woods in front of our truck causing us to swerve. He proceeded to do this amble-skip-hop-flutter-I can't fly but I'm getting where I need to go-jump (he was so big he could NOT fly. And by big I mean he jumped across the hood of our Jeep Commander and with wings open eclipsed the entire windshield). We sat stunned. We'd previously heard them labeld as ugly. What he did off that truck was not pretty, but it was certainly not worth the ugly label in its entirety. And hm, perhaps I could have spoken more on labels if I wasn't so struck by someone else having turkey vultures nearby! I couldn't agree more! And as everyone else has said... I love the last line. It's to bad that we can't always see past the labels that people create for one another.